We design environments that make people want to stay. We understand that your environment is a reflection of your culture. Our design curation transforms spaces into tailored settings where people feel invigorated, inspired, and engaged with their surroundings. Our design team is lead by a Master in Interior Architecture acclaimed for designing luxury spaces throughout the Lake Tahoe Resort Areas and San Francisco Bay Area since 2004. Our resources are expansive, allowing us freedom to curate rooms that are exquisitely tailored to each thoughtful environment. In our process, we produce virtual renderings of our ideas to provide you with peace of mind that your objective and requirements are understood. Our communication process with suppliers ensures that the end result is exactly what you desire. 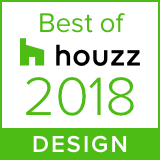 We are known for award-winning designs, practical knowledge of the building process, systematic and detailed design documentation, established relationships within the industry, a positive workplace culture, and flexible and accommodating project managers. Aligning people with inspiring environments guarantees mutual success. Known for designing custom residences and restaurants in Lake Tahoe, San Francisco Bay Area, and Southern California since 2004, we are a full-service interior design firm specializing in new construction and full remodel interior design plus furnishing. Our hospitality services include interior design and specifying for restaurants, bars, lounges, spas, and small hotels. Results are best achieved through our customized design process that takes you through Concept Development, Design Development, Purchasing, and Implementation. Our design process is geared toward providing your building team with documents that communicate our shared vision. Marcio is a Brazilian-born artist and designer. He studied Fine Arts in Brazil and Colombia before moving to the Reno/Tahoe area in 2000 and later attended Academy of Art in San Francisco for his Masters in Interior Architecture & Design. Marcio enjoys abstract painting, curating artworks for private collections and shows, as well as spending time at Lake Tahoe with his family and two Yorkshire Terriers. Betty brings a systematic approach to our creative industry. She is passionate about sustainability and wellness, and how our lives are enriched by the environments in which we live. She applies her BS from University of Nevada Reno to entrepreneurship and business relations. She enjoys time in the Tahoe area and in San Diego, and travels to expand her experience every chance she gets. Deysi started studying architecture in Peru, where she was born. She then majored in Architecture at New School of Architecture and Design in San Diego and is currently studying for a Master of Science in Sustainable Design. Collaborative design, sustainable passive design strategies, adaptability and resilience of projects are concepts she believes strongly in. Deysi loves the arts, photography, music, nature, universe sounds and traveling to new places with family and friends. Allison operates a full service graphic design business in Lake Tahoe where she applies an eye for color and composition to the visual presentations of our selections. She has previously worked as the art director for several well known magazines and specializes in print design. She enjoys photography, camping, yoga, and exploring our beautiful mountains. We are thrilled to be partnered with such an amazing talent. Fiona is an undergraduate student at the University of Nevada, Reno, studying printmaking and chemistry. She grew up nearby in Carson City, exploring and hiking around the Lake Tahoe area, which she still enjoys. She pulls inspiration for her art from developments in science and technology and intends to further pursue these interests through work in design and art conservation. Fiana is an Ayurvedic practitioner, yoga teacher and massage therapist by trade, although she has lived and worked abroad in a variety of industries. She is a lover of world travel and is inspired mostly by the textures, aesthetics and flavors of Southeast Asia. She excels at enabling flow by providing structure. She lived in the Bay Area for many years before returning home to Reno, NV. Lisa has over 30 years of experience in accounting and management. A veteran of semiconductor since the early 80s in Silicon Valley, she provided strategic services across multiple industries, emphasizing clear vision, a strong grasp of detail, and a desire to lead. Her career began in management before purchasing a Postal Annex franchise, then later working for start-up companies. Lisa attended San Jose City College and lived there for 49 years.